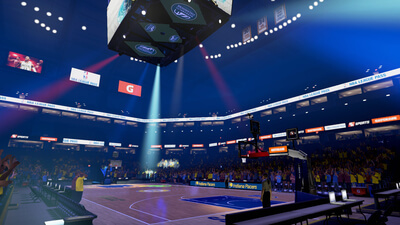 The NBA 2KVR experience gives you the thrill of walking right onto the court, with All-Star Paul George providing guidance and tips. 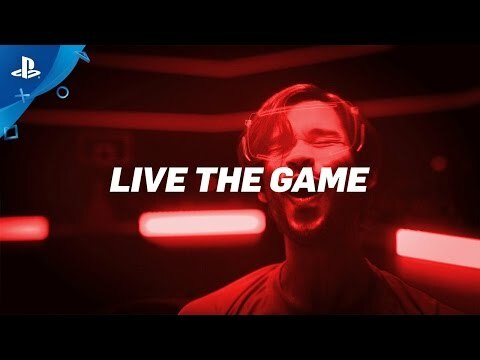 Compete in a series of fun and intuitive virtual reality basketball mini-games with numerous Gatorade boosts available to improve your performance. With NBA 2KVR, it’s now possible to shoot hoops with all the sights and sounds of a professional stage. Attempt to sink as many three-point shots as possible to get the highest score before time runs out. Ricochet the ball off a series of targets to get it into the hoop. You’ll need to be quick and precise to activate each target in sequence before the ball reaches the goal. Race against the clock to hit as many shots as you can using 10 balls from all over the court. Improve your Accuracy, Quickness, and Stamina by earning Gatorade Boosts. 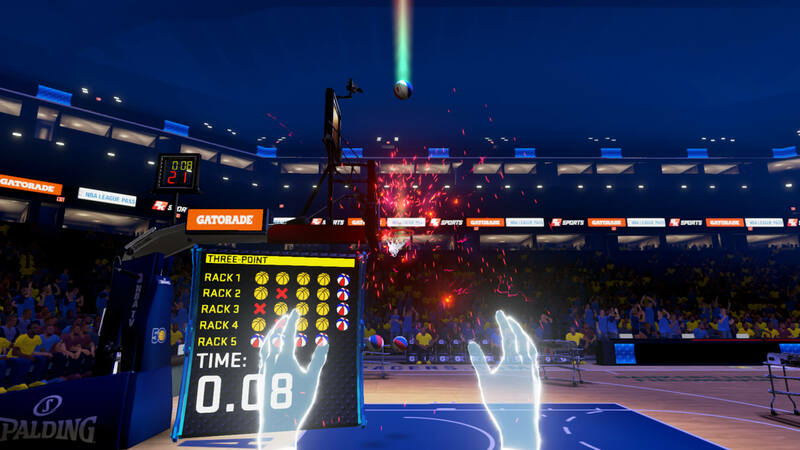 The NBA 2KVR Experience feels more like a proof of concept than a fleshed-out game, and that’s pretty disappointing. Visual Concepts show that they have some good ideas, and could make a more full-fledged offering, but this only touches the edges of what’s possible. It’s more of a tease than anything, which is good for a demo, not a paid product. It’s fun to play for 30 minutes, but don’t expect this to be something that will keep you coming back for more.